No mother should have to choose between keeping their child safe or earning enough money to give them food to eat. But this would be Akalua’s fate if it weren’t for you. Akalua experienced a turbulent past. She was forced into marriage at just 14 years old, fled from her family, was raped by an employer and, after falling pregnant, was kicked out onto the street. Even after seeking safe shelter for herself and her child from our local partner the Association for Women's Sactuary & Development (AWSAD), Akalua was faced with a terrible choice: she could either work to earn a living to provide for herself and her child, or she could stay home to care for her child safely but become destitute in the process. “My daughter was fussy and cried a lot. No one would give me work where I can also bring her along. 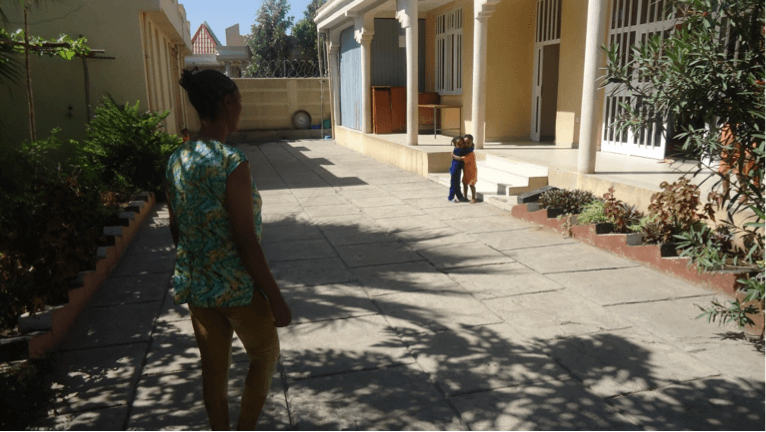 I was so worried about what to do and thought I would have to give her up to an orphanage,” Akalua’s colleague and fellow mother, Senait said. Thankfully, your support over the years allowed AWSAD to run a day care centre, giving women like Akalua and Senait the opportunity to earn enough money to feed their family and create a better life. “The AWSAD day care gives my child the safety all girls need,” Akalua says. If you are able to make a gift at this time, you can help even more women like Akalua find a safe space to turn to when there’s nowhere else to go.